Kennebec – Moose River Maine Hotels & Motels– Another great reason to visit Maine. The Maine capitol of Augusta is located in this region. Explore 12,000 years of history at the Maine State Museum and Capitol Building. Maine’s famous Belgrade Lakes region provides four-season recreation. Waterville is a busy college town, Colby College and Thomas College are located here. Meet a 62-foot tall Indian in Skowhegan. Please share your Maine hotel reviews. To feature your Maine Hotel Lodging, contact us. 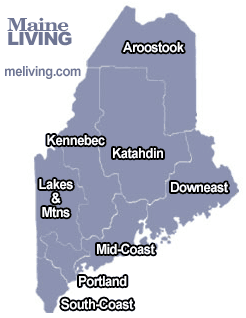 Maine Living offers direct links to online online Maine Hotel room specials. Find discounts, Trip Advisor reviews, lodging availability, ratings, and reservations for the Maine hotel, motel and resort lodging properties. Visit Maine and stay at a Marriott hotel or resort. Find Maine Marriott hotels in Portland, Augusta, Bangor and Auburn. Check for local specials with your Marriott Rewards by following the link below. Discover Maine Hotel Lodging accommodations by region. Aroostook, Downeast, Katahdin, Kennebec, Lakes, Mid-Coast, Portland and South-Coast.